If you were born in the year 1985 you just might not remember clearly some of the greatest periods in history. There are many things still around that can show you exactly just how great a year it was to be born! 1985 is the year that the classic cult film, “Back to the Future” came out. “Mr. Mister” released the song “Broken Wings”. And your mom was wearing outrageous neon fashion. The economy was booming, hair was big (and I mean BIG), huge shoulder pads were all the rage for every blazer, and the best way to listen to music was from a “boom box”. People looked up phone numbers in huge paper phone books and made telephone calls on landline phones (which was not a word at the time, they were simply known as “phones”.) The phones were attached to the wall, and you had to run to answer them because there were not even answering machines, yet. Phones were left to ring 10 times, so you had time to run to answer! You had to ask for directions to places because there was no GPS for another 15 or 20 years. People went to the library or owned their own Encyclopedia Britannica collection to look things up. Everyone would call the local theatre to see what was playing. Buying music meant walking into a brick and mortar store to purchase a tape or vinyl, although CDs were brand new, so they were available, just not in wide use. To pay a bill you had to write a cheque and mail it! Online banking was at least another 10 years away. For kids, Care Bears and Cabbage Patch Kids were peaking. Parents lined up at toy stores to make sure their kids got the right toys for Christmas. Cabbage Patch Kids was such a big thing that in 1985 Allan Candy renamed their “Mars Men” candy, “Sour Patch Kids”. One of the most incredibly great things about Sour Patch kids is that they are perfect for vegan diets! Yes, I said vegan! Now if you’re not vegan, don’t let it stop you, but if you are, you may have just found a new all time favourite candy. On December 20, 2011, a video game called “World Gone Sour” was developed by the Canadian studio Playbrains. It was created specifically to promote the Sour Patch Kids candies. Players described it as a 3D, sidescroller video game. On August 3rd, 2015, the game was finally delisted from the PlayStation Network and the Xbox Live Arcade. Reviewers had praised the World Gone Sour game for the terrifically fun gameplay mechanics, the notoriously grim humour, the funny cutscenes and the overall design. Other reviewers criticized the game for just being a “glorified commercial.” The negative critics disliked the relatively short gameplay, the bad controls, some repetitive levels, the lack of fascinating objectives and the rather mediocre boss fights. World Gone Sour only cost $5 (which was cheap at the time), so it was considered a reasonable value for the short, but enjoyable game. Sour Patch Kids have always lived up to their name. They are a soft candy with an invert and sour sugar coating. The sour sugar is a combination of sugar, tartaric acid and citric acid. That’s why the slogan, “Sour. Sweet. Gone.” describes so accurately the sumptuous experience of eating them. Sour Patch Kids still look like a reflection of 1985 with their bright neon colours and a shape reminiscent of Cabbage Patch Dolls. 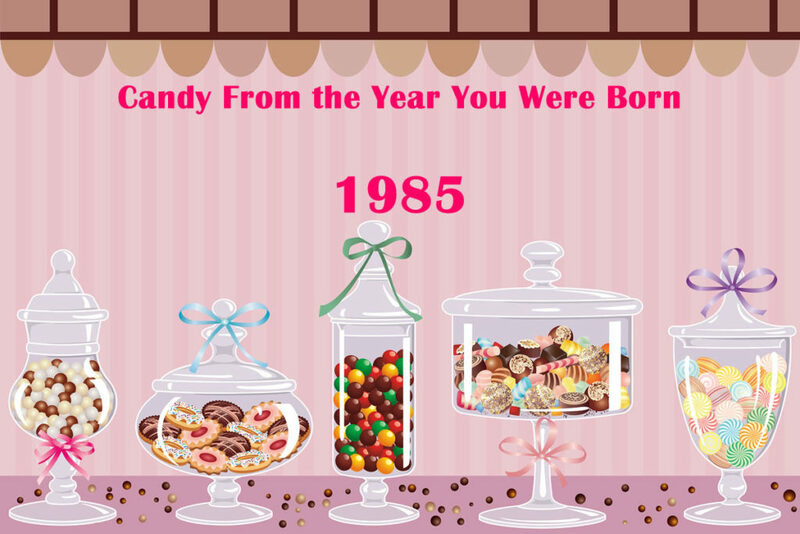 If you were born in 1985, Sour Patch Kids are your year’s candy!